The Midpenisula Regional Open Space District is a regional special district devoted to protecting and managing open space and agricultural lands in San Mateo, Santa Clara and Santa Cruz counties in the San Francisco Bay Area. The District currently manages over 17,000 acres within 26 public open space preserves. Habitat types range from tidal wetlands to redwood forests and also include many historic and working (forestry and farmlands) landscapes. Shelterbelt assisted the District in developing an integrated plan for managing invasive species. Much of the work was mapping non-native plant species throughout District preserves. 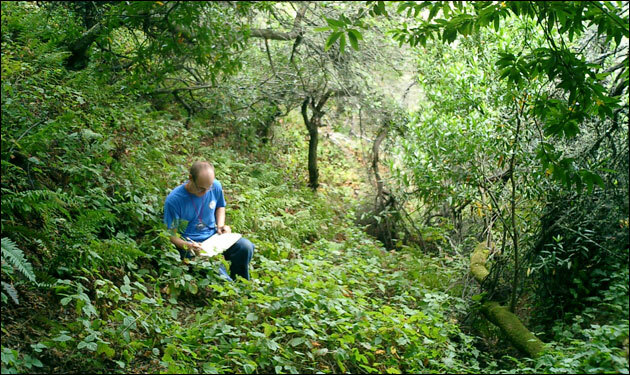 This process was started by reviewing existing records and then modeling the potential locations for searching for non-native plants within an extremely large project area. These areas were then mapped with field crews and integrated into the District's GIS system. Shelterbelt staff helped the District develop a defendable definition of "Invasive Plants" and prepared ranking criteria that would help prioritize future control efforts. We also helped evaluate the District's current weed control program and made recommendations for new strategies to identify and control exotics, updated and commented on the District's species' control recommendations and evaluated potential impacts to wildlife species.